No more need to pine and stew for the "other" RS 5: both the coupe and convertible models are on sale this year. Supple and sleek, the Audi A5 coupe and convertible get more rational to us as they reach into S5 and RS 5 territory. 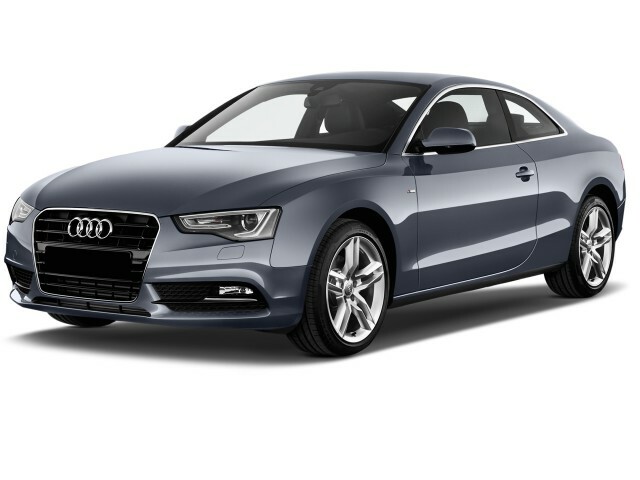 Now in its seventh year, the 2014 Audi A5 remains one of the most classic and stylish two-door cars on sale today. 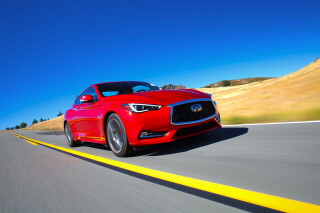 Both the coupe and the convertible are considered some of the best-looking cars of the decade, and they pair timeless looks with engaging on-road character and more than a little luxury. We're partial to the high-performance S5, but the lineup ranges from the stylish yet understated base A5 to the brawny and ballistic RS5 that bracket our S5 choice. With a minimum of extraneous detail and careful attention to its surfaces, the two-door Audi A5 was a stunner and a halo car for the luxury brand when it launched for 2008. The coupe and the convertible are equally handsome--not always the case, and no mean feat--though the added insouciance of the droptop garners more stares and admiring glances. Only at the front end, where Audi's deep horse-collar grille appears overly large and perhaps too abstract, does the A5 fall down a bit. 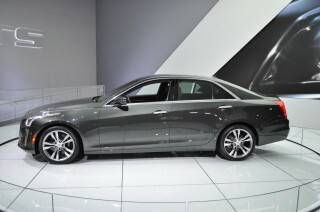 This year, the designers have slimmed down the headlamps and subdued the frame of the grille. The cabin strikes a coordinating chord, with soothing shapes and a high level of fit and finish, and new choices of trim ranging from carbon to stainless steel to good old-fashioned wood. With the standard A5, Audi has its summer cruiser. Both the A5 coupe and cabriolet are powered by a turbocharged 2.0-liter four-cylinder that now delivers 220 horsepower. The Cabriolet taps out of any performance intent in its most basic form, where it's fitted with front-drive and a continuously variable transmission (CVT) that generates decent gas mileage numbers but the typical CVT sluggishness. Skip the CVT for any other edition: they all have all-wheel drive, with a choice of a six-speed manual or an eight-speed automatic, either of which makes the most of the four's ample power band. The A5 lineup is a car for a couple and their luggage to travel in, though one or two additional riders can fit in the rear. It's close-coupled but not cruel. The cabin is well laid out as well as finely built, and the controls are lighter than those of other German coupes. Leg and shoulder room are generous, and the seats are well-padded and bolstered. The rear seats, on the other hand, are too short in the legs for adults. From the driver's seat, visibility rearward is on the poor side due to the chunky C-pillars that look so good on the outside (the Cabriolet avoids this criticism with the top down). Interior storage space is generally good, with a locking glove box and console, one-liter bottle holders in the doors, and a larger-than-average trunk with fold-flat rear seats. Sharing much of its underpinnings with the A4, the A5's handling and ride are dialed to comfort, though the optional Drive Select system allows owners to change steering, throttle, suspension and transmission programming for a more responsive feel that can be paired with variable-ratio Dynamic Steering. We'd pass on both, and opt instead for the sport suspension offered on coupe models for its predictable, slightly firm road feel. Truth be told, we'd really pass the A5 entirely for the S5 coupe and cabriolet, their 333-hp supercharged V-6, and their choice of manual six-speed or seven-speed dual-clutch transmissions. A sport suspension, better brakes and bigger wheels and tires give it tauter handling with less understeer than the basic A5; Drive Select and Dynamic Steering are on the menu as well. The champion of the lineup is undoubtedly the RS 5, available this year either as a coupe or as a cabriolet. 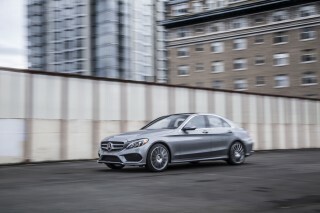 Its 4.2-liter V-8 has 450 ripe-sounding horsepower, its dual-clutch transmission is effortlessly quick to shift, and its available sport differential turns it into a rival for the likes of the C63 AMG, M3, and CTS-V. The S5 and its Cabriolet counterpart, like most luxury performance cars, haven't been crash-tested, but they do offer an extensive list of safety features. The list includes dual front, side, and side curtain airbags; knee airbags, traction and stability control; anti-lock brakes; active pop-up roll bars in the Cabriolet; and a rearview camera with parking sensors. Luxury features are similarly exhaustive, with all of the usual luxury suspects on board, including all the power and heated accessories you can think of, dual-zone climate control, leather upholstery, satellite radio, and Bluetooth. Optional add-ons include the excellent Bang & Olfusen sound system, navigation, and iPhone integration. The latest-generation MMI controller is also employed, making it easy to control audio, navigation, and other on-screen functions with its joystick-like controller. New Google Earth and Street View mapping provides some of the clearest, most beautiful renderings we've seen on a GPS. Of all the models, the A5 and S5 convertibles shine brightest. Their well-insulated tops can be dropped in a matter of seconds, and they'll rise quickly enough that you won't get drenched when you stop in a sudden shower. Sure, the cloth top blurs some of the coupe's crisp roofline--not to mention eating further into the rear seat space--but the sensation of sun in the face and (a little bit of) wind in the hair makes those quibbles fade into insignificance. A beautifully sculpted body is matched by an equally classy interior. Elegant, striking, and yet simple and understated, the design of the Audi A5 is one of the most attractive in the luxury coupe market. With a timeless air that suggests a price point well above its sub-$40,000 base price, the A5's profile is unique in the market. Audi chief designer Walter d'Silva regards the A5 as his most beautiful design to date. Muscular haunches that evoke classic sports cars blend with modern details in a way that gives the A5 (and its sportier, more aggressive S5 and RS5 variants) definite road presence. If that presence is lacking anywhere on the A5, however, it's at the nose, where the tall, oblong grille that's shared across all Audis these days seems more delicately and without the defining elements that would separate it from a car-bra at first glance. LED lighting helps give the A5 an instantly recognizable face at night. The A5's cabin is lavish and luxurious, with clean and simple design themes executed in high-grade materials. Ample fine details, such as the intricate instruments and light application of metallic trim on switches and buttons add a high-end touch. There's a definite note of the business world in the dash's expanse, but it coordinates well with the two-tone leather and suede seats and the choice of aluminum or piano-black trim. Like its more ordinary A5 basis, the S5 is elegant and well-proportioned; unlike the A5, the S5 is also bold and aggressive, with exterior body elements clearly sculpted for sporting aerodynamics and a cabin trimmed in performance-themed accents and equipment. The RS5 is very close to the S5 in appearance, though a mesh grille, LED lighting details, a retractable rear spoiler, and its own unique interior trims (including Nappa leather, carbon fiber, stainless steel, and piano-black plastic) help set it apart for the sharp-eyed. Audi takes on its M and AMG rivals with the RS 5, but the base CVT-equipped car is too tame. The 2014 Audi A5 range encompasses a broad scope of performance, thanks to its wide range of available engines in A5, S5 and RS5 forms. The basic breakdown follows the number of cylinders: the A5 packs a four-cylinder turbocharged engine; the S5 gets a supercharged V-6; and the potent RS5 features a normally aspirated V-8. Starting with the A5, a 2.0-liter turbocharged in-line four-cylinder is standard. Upgraded for the 2014 model year with nine more horsepower, the 220-horsepower four-cylinder provides a peppy, fun-to-drive nature, though it doesn't quite rise to the realm of high-performance. Thanks to its 258 pound-feet of torque, however, in-gear and low-speed acceleration feels strong. 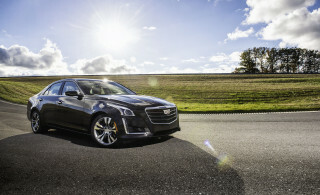 Throttle response is crisp, and while the engine can sound a bit buzzy or gritty near the top of its rev range, it's generally quiet and smooth, comparing well with competitive offerings from Cadillac, BMW, and Mercedes-Benz. Depending on the body style you choose, you'll have a varied range of transmission options in the A5. 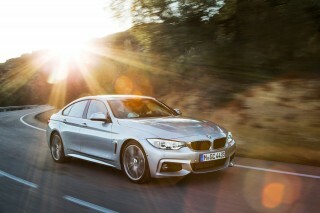 Coupe models offer a choice of an eight-speed automatic or a six-speed manual. Both suit the A5's character well, though when paired with quattro all-wheel drive, the eight-speed automatic's extra range helps deliver better in-gear acceleration at a range of speeds. The automatic is also quick-shifting, making it a valid choice for the enthusiast, even compared to the manual. Audi estimates 0-60 mph times for the automatic-equipped A5 at 6.6 seconds, while the manual is still a touch quicker at 6.4 seconds. Cabriolet A5s get Audi's continuously variable transmission (CVT), and while it's not exactly unwelcome thanks to its good gas mileage, it's sluggish to respond and noisier than the eight-speed automatic in the Coupe. The A5 Cabriolet with the CVT is also the only A5 offered without quattro all-wheel drive, and it's the slowest in the A5 range at an Audi-estimated 7.5 seconds to 60 mph. With quattro all-wheel drive added to the mix, the A5 Cabriolet gets the excellent eight-speed automatic, cutting 0-60 mph times to 7.2 seconds. Ride and handling are biased toward comfort rather than performance in the base specification, but the optional Drive Select system offers the driver the ability to adjust suspension, steering, transmission, and throttle response calibrations to suit their preferences. While it's an interesting feature, it's one we'd just as soon skip, as Audi's base calibrations are better coordinated than any driver-selected hodge-podge. The base suspension specification is quite capable, too, despite the comfort-biased setup. The A5 is well-composed and capable even over choppy pavement, cornering with confidence and control. If you'd prefer a stiffer, slightly sharper-handling A5, opt for the S line package. Steering response is generally good, too, despite the electric-assist power steering, with better on-center feel than some brands. The electric power steering system also enables Dynamic Steering, an optional feature which varies the ratio and responsiveness with speed and circumstance among other factors. In the S5, performance grows considerably thanks to a 3.0-liter supercharged V-6 rated at 333 horsepower and 325 pound-feet of torque. The extra 113 horses help the S5 accelerate to 60 mph in just 5.0 seconds, according to Audi. A stiffer suspension tune and better brakes improve sport driving characteristics, and Audi's fantastic seven-speed dual-clutch transmission provides crisp, lightning-quick shifts both up and down the gear range. The S5 also comes with quattro all-wheel drive standard, with 18-inch wheels and grippy high-performance summer tires. The power split between the front and rear wheels is a rear-biased 40:60 ratio, and an available sport differential helps improve traction on the rear axle for even better performance. While the electric power steering isn't objectionable in the softer A5, in the S5, it feels a bit numb in comparison to the rest of the car, which is lively and engaging. That ride can turn harsh and stiff on some road surfaces, however. For the ultimate performance in the A5 range, look to the RS5. Powered by a throaty, potent 4.2-liter V-8, the RS5's 450-horsepower rating thrusts to 60 mph in just 4.5 seconds, and on to a top speed of 174 mph, roughly on par with the Mercedes-Benz C63 AMG and BMW M3. With the RS5, the sport rear differential is standard equipment, as are 19-inch wheels and Drive Select, though the Drive Select system in the RS5 doesn't control damper settings, as they are conventional, non-adjustable units in this high-performance model. Carbon ceramic brakes are available to better handle the stresses of track use for those so inclined. .
Front-seat space is great, and interior quality is too, but the A5's trunk is small. Whether you choose the 2014 Audi A5, S5, or RS5, in coupe or cabriolet forms, you'll find an interior with fantastic build quality and excellent front-seat comfort--though rear passengers will be left wanting a bit more space. With space for two and their luggage, but not much more, the A5, S5 and RS5 are the perfect weekend jaunt companions, though they're equally well-suited to the daily grind--just don't plan on carting around three or four passengers most of the time. The front-seat emphasis in the cabin is obvious; even base models have comfortable, roomy seats that are well-bolstered and relaxing. Upgrade to one of the sportier models and you'll gain bolsters and spirited-driving security without giving up much of the comfort. Leather upholstery is found throughout the A5's seating range, with RS5 models gaining a choice of Alcantara or Nappa leather. 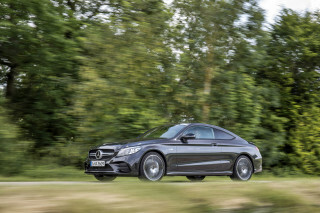 Head and leg room is generally good in the front row, though coupe models fitted with the panoramic sunroof can compromise head room for taller drivers. In the back seat, you'll find what amounts to occasional seating for two. Due to the two-door configuration, getting in and out of the rear seats can be difficult, despite the long doors. Very little leg room and head room is available, making the space inappropriate for most adults for more than a few minutes. The Cabriolet cuts this rear-seat space even further, leaving it suitable for children, at best. The trunk is fairly large in Coupe models, with 16.3 cubic feet of space; Cabriolets lose some storage for the soft top, cutting cargo volume to 11.3 cubic feet. The rear seats fold down to help make room for larger parcels and offer front-seat access to the trunk. Materials, throughout the range, are high-quality and solid-feeling. Surfaces gleam with a satin luster, and the blend of leather, wood, metal, and plastic is masterfully executed, especially in the RS5, where stainless steel and carbon fiber trim are available. It doesn't have any crash-test scores, but the A5 is related to the very sturdy A4. The 2014 Audi A5 is a modern, well-built vehicle, but neither the National Highway Traffic Safety Administration (NHTSA) nor the Insurance Institute for Highway Safety (IIHS) have yet conducted crash tests to determine just how safe they might be in the event of an accident. Low sales volumes and a high sticker price commonly conspire to keep some vehicles off the radar of both testing agencies, and while the lack of results means we don't have any firm evidence of their safety, the A5 and its S5 and RS5 siblings do offer a full complement of modern safety equipment. Throughout the A5 range, visibility is very good, though the Cabriolet's soft top can limit rearward visibility somewhat. An available rearview camera and reverse parking sensors helps improve low-speed maneuvering safety. For those with a taste for higher-tech safety enhancements, Audi offers a lane-departure warning system, blind spot monitors, and radar-based cruise control as well as adaptive headlamps. Quattro may be one of Audi's hallmarks, but Google Earth navigation is swiftly becoming another. The Audi A5 range was updated last year to include several new features, and carries forward into the 2014 model year unchanged. In general, aside from a few omissions, the A5 is one of the best-equipped models in its class, especially when it comes to mapping and audio systems. In base form, the A5 includes a solid feature set suiting its near-$40,000 price point. Power locks, windows, and mirrors are standard, as is automatic climate control, a 10-speaker AM/FM/CD/satellite radio audio system, pushbutton start with keyless entry, leather seating, power front seats, cruise control, and a sunroof (in coupe models). Optional extras for base cars include Bluetooth and iPod connectivity--an unusual choice for a modern, high-tech luxury car. 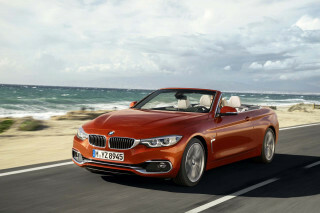 Cabriolet A5s get a standard power-folding soft top with glass rear window and electric defogger. The top opens and closes in less than 20 seconds, while the fabric construction saves considerable weight over a folding hard top. For the digitally concerned, Audi's excellent MMI (Multi-Media Interface) is standard on the A5 range, bringing with it a rotary controller and center-mounted display that gives access to audio, entertainment, and more. The MMI system requires a little time and trial to learn, but once you're familiar with it, MMI can be a quick and intuitive interface. Improvements to the control interface last year (including a few new hard-wired buttons near the control knob) have made MMI even easier to use. Optional extras for the A5 range include bi-xenon headlamps, a rearview camera, side-lane assist (a blind-spot monitoring system), and a fantastic Bang & Olufsen audio system. Coupe models can also opt for a panoramic sunroof. Navigation is also available on all models, bundled together with a rearview camera, HD Radio, a DVD player, and Google Earth maps with Street View when paired with Audi Connect, Audi's mobile data service. Audi Connect requires a monthly subscription for the 3G data, but enables features like Google Local search, real-time traffic and weather updates, and much more. The screen, and the maps, when Audi Connect and Google Earth mapping are combined, are truly impressive. It's one of the most beautiful, high-resolution systems available. Stepping up the range to the S5 and RS5 brings extra standard equipment, including heated front seats, 18-inch wheels, xenon headlights, Bluetooth and iPod connectivity, and an upgraded body kit on S5 Coupe and Cabriolet models. The RS5 Coupe and Cabriolet add to the list with a retractable rear spoiler, a choice of unique interior trims, sport seats, parking sensors, and a flat-bottomed steering with shift paddles. Gas mileage is good in the least desirable A5, almost as acceptable in the fun ones. The 2014 Audi A5 is rather fuel-efficient for its class, but the sportier S5 and RS5 trade speed for gas mileage. 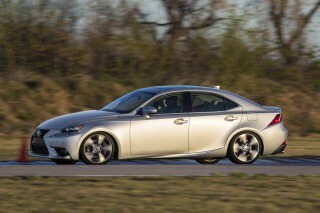 The base turbo four-cylinder in A5 models varies quite a bit with choice of transmission and front- or all-wheel drive. 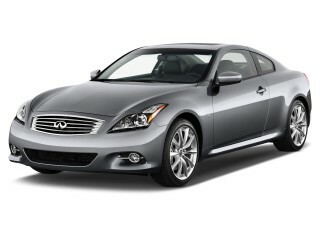 The front-drive Cabriolet earns the best gas mileage in the range, at 24 mpg city, 32 mpg highway, and 27 mpg combined. Next is the A5 coupe with quattro all-wheel drive and a six-speed manual transmission at 24 mpg city, 32 mpg highway, and 26 mpg combined--nearly identical, but for the slightly lower combined rating. Opting for either the A5 Cabriolet with quattro all-wheel drive or the A5 quattro Coupe, when equipped with the automatic transmission yields the same result: 20 mpg city, 29 mpg highway, and 24 mpg combined. 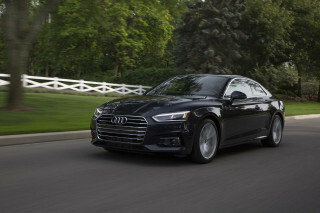 Audi's S5 models get a great deal more horsepower thanks to a supercharged V-6 engine, but also suffer in terms of gas mileage, rating 18/28/21 mpg city/highway/combined with the dual-clutch automatic transmission, or 17/26/20 with the six-speed manual gearbox. The RS5's 450-horsepower output requires even more fuel, bringing it down to 16 mpg city, 23 mpg highway, and 18 mpg combined. Though Audi offers hybrids and diesels elsewhere in its lineup, neither technology has made it to U.S. versions of the A5 range.